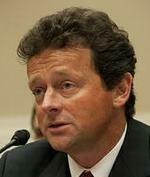 LONDON, UK, July 27, 2010 (ENS) – BP today announced that, by mutual agreement with the BP board, Tony Hayward will step down as group chief executive as of October 1, 2010. He will be succeeded by fellow executive director Robert Dudley. Hayward was in charge of the company on April 20 when the Deepwater Horizon explosion that killed 11 men unleashed a three-month long oil spill from the Macondo well in the Gulf of Mexico. He was widely reviled in the United States for saying he “wants his life back” and for attending a yacht race at the height of the spill. But after their Board of Directors meeting today in London, BP officials said they are sorry to see Hayward go. BP said that under the terms of his contract Hayward would receive a year’s salary in lieu of notice, amounting to ₤1.045 million (US$1.62 million). Tony Hayward, right, speaks with AC Cooper Jr., vice president of the Shrimp Boaters Association. Venice, Louisiana, May 6, 2010. Hayward will remain on the BP board until November 30. BP also plans to nominate him as a non-executive director of TNK-BP, a Russian oil company that is among the top 10 privately-owned oil companies in the world in terms of crude oil production. Dudley has been BP’s point man for the Gulf oil spill for about a month, but now he will shoulder all the responsibility for killing the blown-out well, cleaning up the Gulf and compensating the victims. “We are highly fortunate to have a successor of the calibre of Bob Dudley who has spent his working life in the oil industry both in the U.S. and overseas and has proved himself a robust operator in the toughest circumstances,” Svanberg said. Dudley is a main board director of BP and currently runs the recently-established unit responsible for clean-up operations and compensation programs in the Gulf of Mexico. He joined BP from Amoco after the merger of the two companies in 1998. 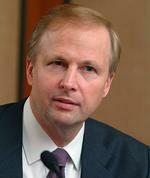 He was president and CEO of BP’s Russian joint venture, TNK-BP, until 2008. 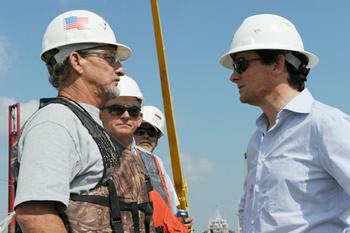 “I am honored to be given the job of rebuilding BP’s strengths and reputation but sad at the circumstances. I have the greatest admiration for Tony, both for the job he has done since he became CEO in 2007 and for his unremitting dedication to dealing with the Gulf of Mexico disaster,” Dudley said. On his appointment, Dudley will be based in London and will hand over his present duties in the United States to Lamar McKay, chairman and president of BP America. “In this change of roles, I particularly want the people of the Gulf Coast to know that my commitment to remediation and restitution in the region is not lessened. I gave a promise to make it right and I will keep that promise,” Dudley said. National Incident Commander Admiral Thad Allen told reporters on Monday that the company will be preparing to kill the well all this week and plans to begin pumping mud and other materials down from the top in a “static kill” operation on Monday, August 2. Five days later, BP plans to begin pumping mud and cement up from the bottom through a relief well to completely stop the disastrous oil leak. The Gulf of Mexico oil spill is proving to be costly for BP. After its Board of Directors meeting today, the company said today that it has taken a pre-tax charge of $32.2 billion for the spill, including the $20 billion escrow compensation fund announced this spring. The company will tell analysts later today that it plans to sell assets for up to $30 billion over the next 18 months, primarily in the upstream business, and selected on the basis that they are worth more to other companies than to BP. This portfolio high grading will leave the company with a smaller but higher quality exploration and production business. Meanwhile BP continues to access new business opportunities, with new agreements in Azerbaijan, Egypt, China and Indonesia announced since the end of the first quarter. The company said it was taking a prudent approach to managing the balance sheet and its financial liquidity, in order to ensure that BP has the flexibility to meet all of its future financial obligations. As a result it plans to reduce its net debt level down to a range of $10-$15 billion within the next 18 months, compared to net debt of $23 billion at the end of June. Group capital spending for 2010 and 2011 will be about $18 billion a year, in line with previous forecasts.